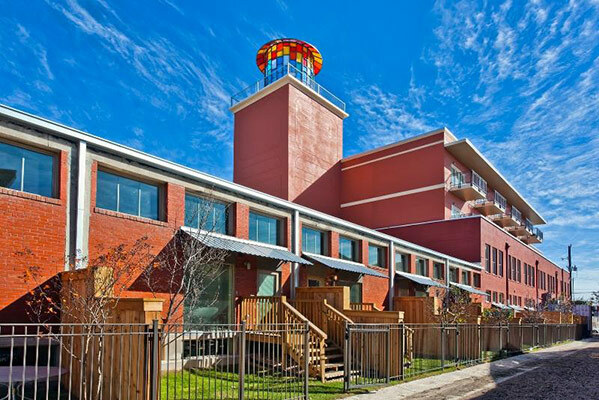 Steel House Lofts is an artistic re–imagining of the historic Peden Iron & Steel building in San Antonio’s popular, revitalized urban corridor known as Southtown. Built in 1913 and designed by renowned Texas architect Atlee B. Ayres, the building served until the early 1950’s as a branch office and shipping warehouse for the Peden Iron & Steel Company, a wholesaler of iron and steel products for the construction, railway and oil industries. For the remainder of the 20th century, the building proved itself an accommodating host to a wide variety of businesses, but no one could have imagined how the building’s strong bones would soon be reimagined in such a spectacular way. 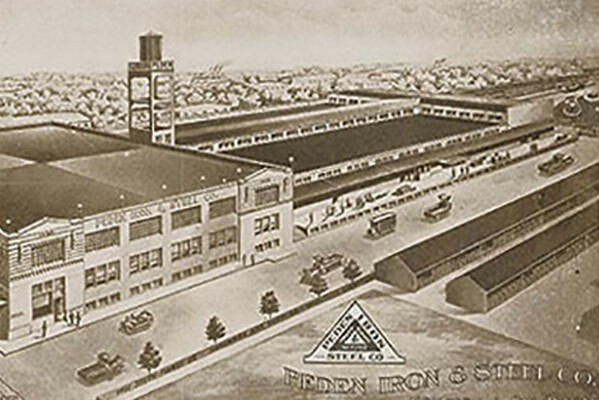 In 2006, the Peden Iron and Steel Company Building was purchased by a visionary development team who set out to honor the building’s rich history and preserve many of its unique industrial features, while artistically transforming it into Steel House Lofts Condominiums, today the premier address for San Antonio living. Throughout the property, old elements have new life. Loading docks have been repurposed into expansive outdoor patios; concrete pillars and a large elevator gear have new life as fabulous architectural features. An illuminated stained-glass water tank on the roof provides an artistic nod to the functioning water tank that once stood there. The stunning transformation in undeniable. Steel House Lofts has received numerous awards including the Best Adaptive Use – Residential Award by San Antonio’s Downtown Alliance (2013), the San Antonio Conservation Society’s prestigious Historic Preservation Award (2014) and The Excellence in Construction Award by the South Texas Chapter of the Associated Builders & Contractors (2013). For residents, Steel House Lofts offers the perfect combination of Historic Spaces. Modern Living.